Mar 24, 2016 You have been contacted by the service experts in our Customer Advocacy Group, who provided the refunds you requested and cancelled your future shipments. We regret that there seems to have been a misunderstanding when you placed your order. 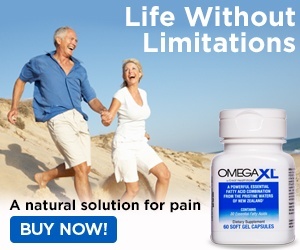 When I called the 1-800 number to place my first order, I placed one for me and 1 order to go to my mother address for my mother to try and I explained this to the lady that took my order, that I only want to try OMEGA XL for me and my mother, and I also told her if my mother like it she will do her own personal orders, not charge from my card and I told her that i was not setting up an auto pay to receive omega XL , I told her let me try it and if I like it I would order as I need it, They are still sending me orders I ask that the orders stop now as of 8 march 2015, My name is Janet King. Review #605247 is a subjective opinion of User605247. Say I would tell your credit card to stop payments on that order. Then when you get the box send it back without opening it don't takewithoI had done that. Stop payments and send them back without opening it. If you are getting charged on your credit card without your permission, cancel that card immediately!